Virgin Mobile has been a popular pre-paid wireless carrier in the United States for a while now, using Sprint's network as a backend. As with most carriers in the US, both iPhones and Android devices were available to customers. However, Virgin has now partnered with Apple and will only offer iPhones moving forward. It looks like budget-focused Sprint subsidiary Virgin Mobile USA is taking a page out of T-Mobile's book. Starting on Friday, the carrier will allow users to access certain streaming music services without taking the requisite hit to their data caps. The selection is a bit paltry at the moment (and notably lacking in both Google Play Music and Apple's Music service), but fans of Pandora Radio, Slacker, and iHeart Radio should be glad to hear that they can listen to practically unlimited amounts of music while they're out and about without incurring an extra charge. 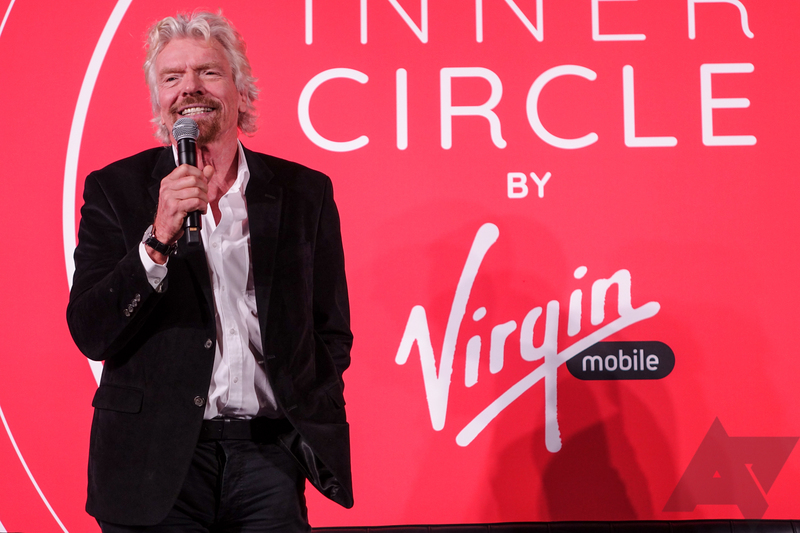 Virgin Mobile is also reshuffling its phone plans. Pay-as-you-go Sprint subsidiary Boost Mobile would like you to know that they've got LTE service. It's okay if you didn't - it's not as if they had any phones that could take advantage of the speedier standard. But that should be rectified in just a couple of weeks, when the HTC One SV And the ZTE Force (officially the "Boost Force by ZTE," because American carriers like to push around smaller OEMs) become available for purchase. You can pick both of them up on March 7th for $299.99 and $199.99, respectively and without contract. 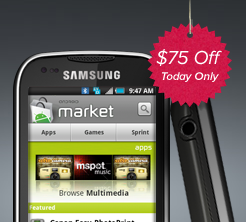 Meanwhile, over at the other prepaid Sprint MVNO, Virgin is repackaging the Samsung Galaxy Victory 4G LTE for $299.99. Virgin Mobile USA, a no-contract budget mobile U.S. retailer with plans starting at $25/mo for unlimited text/web/data and 300 minutes, has only crossed paths with Android once, with the introduction of Samsung Intercept. 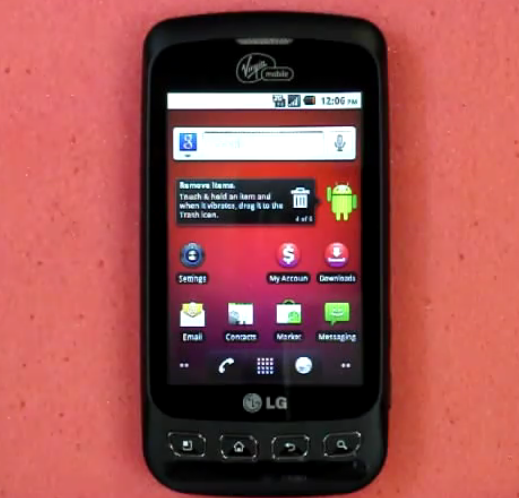 However, another contender, LG Optimus V, an equivalent of Optimus S on Sprint, Optimus T on T-Mobile, etc. just popped up at RadioShack.com, before even hitting Virgin's own site, which is expected to happen on February 1st. There have been reports of the device being available in some brick and mortar Virgin Mobile USA stores, but it looks like this RadioShack appearance is the first time it became available online. The Black Friday is long gone, but another, potentially even bigger event, called Cyber Monday, is now upon us. 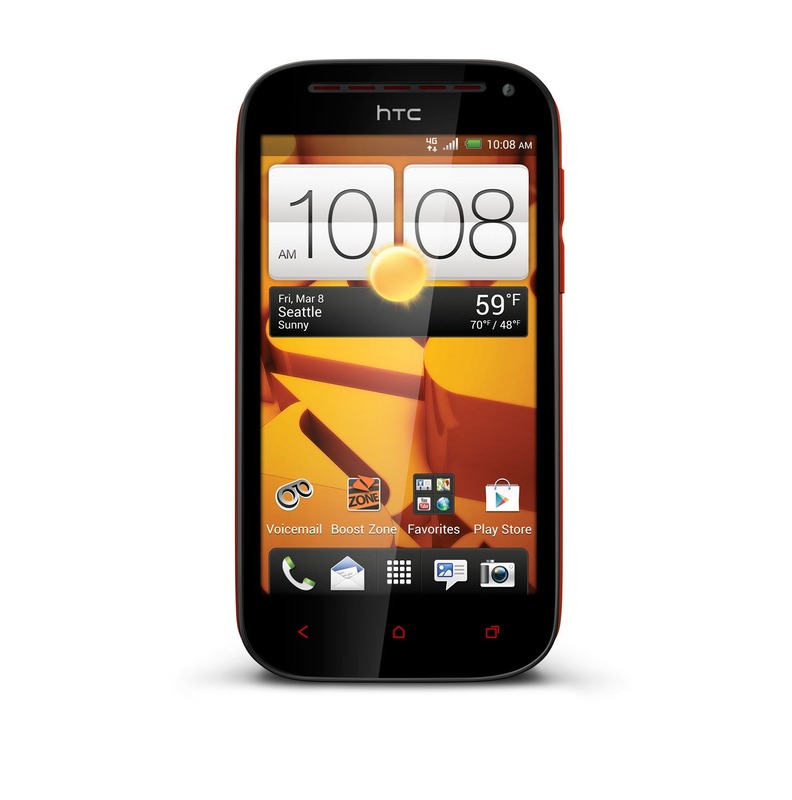 Cyber Monday is what happens when the Black Friday goes online, and Virgin Mobile USA does not disappoint. The carrier, which uses Sprint's network, is offering its only Android handset, the Samsung Intercept, for a whopping $75 off. The deal is valid for the duration of Cyber Monday, so hurry up if you want this 800MHz Android QWERTY slider for $175, with free shipping. The beauty of Virgin Mobile USA, of course, is its plans starting at $25 a month, with NO contract to sign.